July 15th in WordPress Themes by Wordpress Jedi . Plenty of people look for job opportunities and gigs online these days. 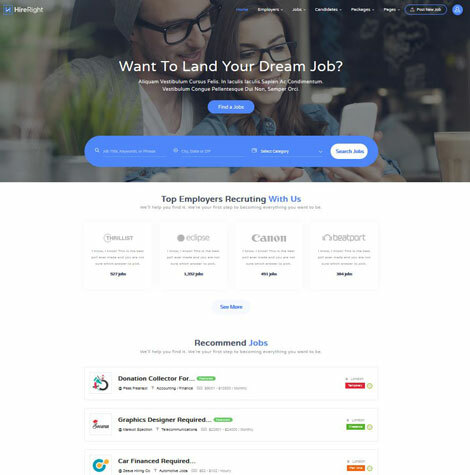 If you have something unique to offer, you can always start your own job portal to connect recruiters with job hunters. Careerfy is a commercial theme with a responsive design that lets you bring a professional looking job site online. It comes with a bunch of demos, so you can get started faster. January 19th in WordPress Themes by Wordpress Jedi . In the past few months, we have covered plenty of job board themes for WordPress sites. They allow you to bring job hunters and recruiters together on your site and earn money in the process. 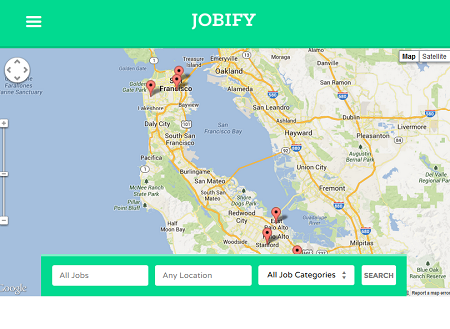 Joby is a child theme for JobRoller that gives your job hunting site a responsive, clean makeover. It comes with 8 color schemes and 4 homepage variations. December 18th in WordPress Themes by Wordpress Jedi . 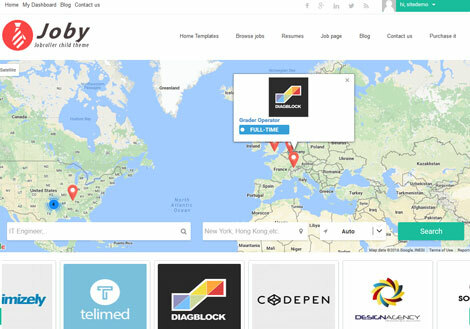 WP Job Manager is a handy plugin that lets you manage job listings on your website. 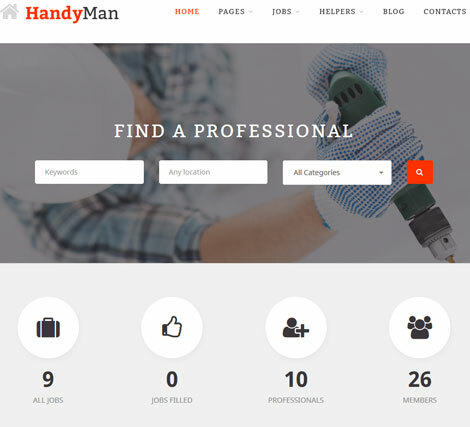 Thanks to Handyman for WordPress, you can give your WP Job Manger powered site a makeover. It lets you create a job board for contractors, electricians, and anyone in between. It comes bundled with Visual Composer. Thanks to Redux Framework, you can customize the design more conveniently. December 5th in WordPress Themes by Wordpress Jedi . In this day and age, more people are finding job opportunities online. While there are plenty of job hunting sites available, if you have a unique value proposition, there is no reason you shouldn’t build your own job directory. 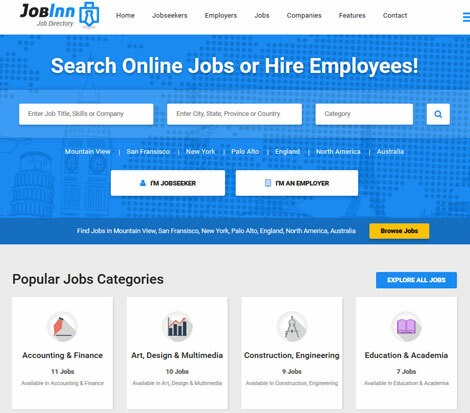 JobInn is a premium theme that lets you connect job hunters and recruiters on your site. April 2nd in WordPress Themes by Wordpress Jedi . In this day and age, many job hunters rely on online job sites to find new opportunities. Not satisfied with the job sites available? 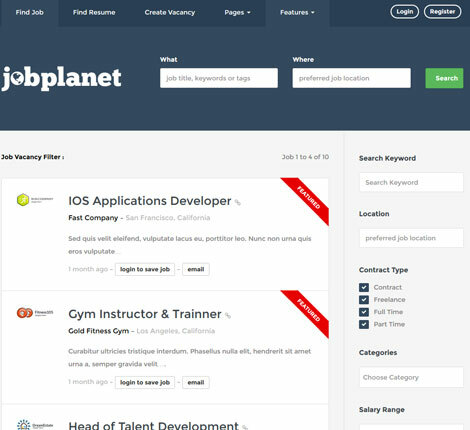 You can always start your own with themes like Jobplanet. 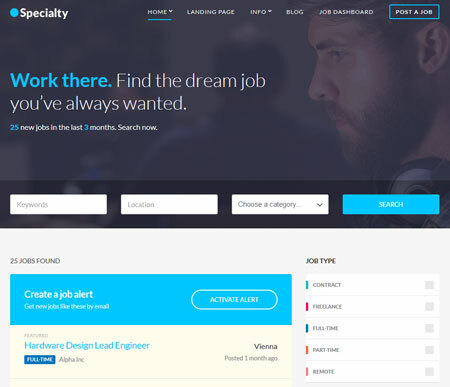 This premium theme supports front-end job submissions and Visual Composer. It has a clean, professional design. March 26th in Theme Lists, WordPress Themes by Wordpress Jedi .